This week, we welcome Winslow Porter and Milica Zec to talk about the reality of deforestation and how VR can help explain the consequences. Virtual Reality (VR) and Augmented Reality Markets are expected to reach US$162 billion by 2020. How can schools use virtual reality to make learning more engaging? Most of us don’t live in a rainforest but we do know that they are in great danger. Classrooms are looking for ways to help young learners better understand the deforestation crisis, for which we urgently need to find global solutions. What if it were possible to have first-hand experience on how we as humans are contributing to the extinction of trees? 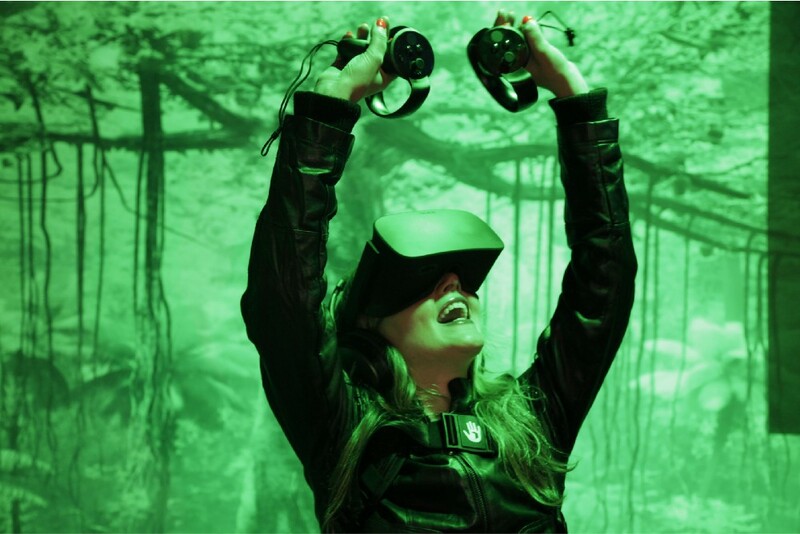 Treeis a hyper-realistic VR experience that transforms the audience into a living and breathing rainforest tree. The viewer can see and feel the tree’s growth from a seedling into its fullest form and witness its fate firsthand. 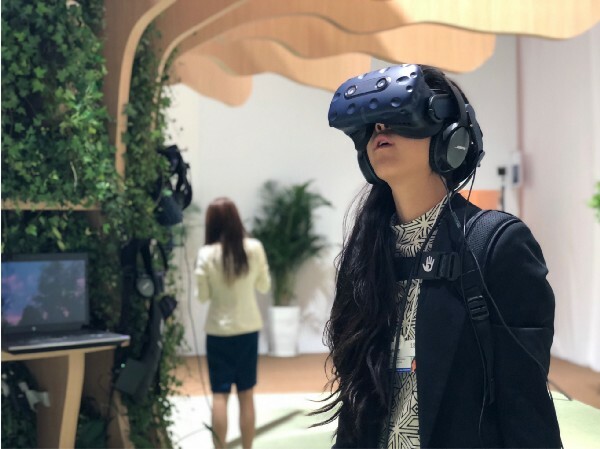 In a collaboration between MIT Media Lab and filmmakers Milica Zec and Winslow Porter, a fully immersive virtual reality story about a tree was created. The film has been presented to date at over 70 conferences and film festivals (including Sundance and Tribeca). The Global Search for Education welcomed Winslow Porter and Milica Zec to talk about the reality of deforestation and how Tree can help. What motivated you to tell this story? How did you come up with the idea? Everything started with our first project, Giant, in which we depicted an innocent family trapped in a war-zone. Giant speaks about the destruction humans do to each other, and we wanted to continue in our second piece with how humans destroy nature. That is how the idea of Tree was born. We wanted to shift the perspective of the audience and place them in the position of nature, so that they can witness firsthand how we as humans contribute to deforestation. What does the VR experience really add to our viewing experience in this story? Are we missing something if we don’t see this movie in VR? In our piece, we use VR as a tool to transform the viewer into a living and breathing tree. When the viewer looks down, they’ll see their arms are branches, their body is the trunk, and when they move, the tree moves too. We use multi-sensory elements so the viewer feels the growth from a tiny seed underground, to the tallest tree in the rainforest. We use a Subpac — essentially a backpack with bass speakers in it — to vibrate along with the piece, simulating the feeling of growing and expanding. The viewer can also smell the soil and the rainforest, sense the change in temperature and feel the wind on their face when they reach their tallest height. As of now, we believe that VR is the only medium that allows us to closely replicate what it is like to be a tree. How do people react during and after the Tree experience? What kind of emotional connection is evoked? 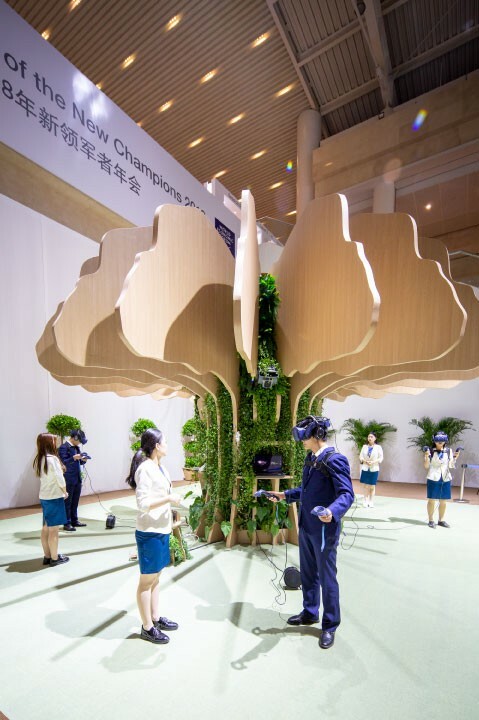 So far, we have brought Tree to over 70 festivals and conferences and witnessed thousands of people from across the globe take off the headset. Most people have a very emotional reaction to the piece, strongly identifying with the tree. There is no language in the piece, just the sounds of nature, which creates a universal story that anyone can relate to. After the experience, people have a stronger understanding of the deforestation happening all around the world. People often develop a personal connection to the tree after viewing the experience. Climate Change and the Environment are timely topics. In what ways do you believe Tree can add to our understanding of these issues? How would it be different from traditional ways we learn about The environment and climate change? Since most of us do not live inside of a rainforest, it’s difficult to imagine what is really happening. Tree brings you into that environment and shifts a viewer’s perspective to shed light on a topic that many people haven’t really thought about before. We partnered with the Rainforest Alliance, which helped us remain scientifically accurate while creating the project, and also provided us with a lot of knowledge about deforestation. People often come out of the headset asking what they can do to help, so at the end of the experience, we give each viewer the seed of the tree they just embodied with the message “take this seed as a reminder to keep our forests standing.” We link them to our website and the Rainforest Alliance, so they can discover the many different ways they can help. What can you tell us about your next project, Rainforest? What’s the story and what’s the inspiration? 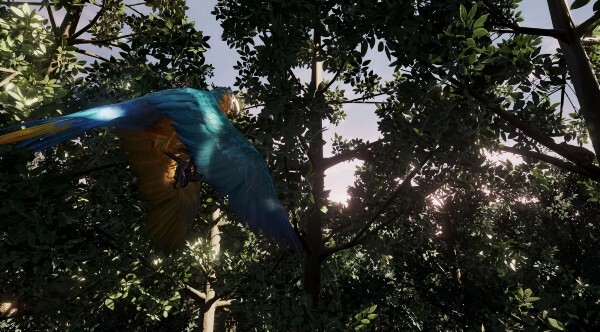 Rainforest is a mixed reality game. In Tree, we focused on a singular rainforest tree, when in reality there are many plants and animals that inhabit those forests. We want to educate people on this entire wonderous world that is being threatened by extinction. To do that, we wanted to bring the actual scale rainforest into the player’s room. Rainforest allows people to play in the environment, and through entertainment and fun they can discover and learn about all the life within. They will also learn about the dangers that rainforests are facing and actively participate in the preservation of those ecosystems. The global VR market is growing rapidly. As the technology improves in the next 5 years or so, what do you believe are the additional benefits for storytellers/creators as well as entertainment consumers? What are the challenges? With VR, the screen is no longer just across from us, but all around us, and viewers have the ability to be a part of the piece they are viewing. We’re breaking the boundaries and making entertainment more visceral and real, no matter where people are. Instead of watching movies on a TV screen, the movie can be playing all around someone, even inside their home. The viewer is getting the opportunity to become a participant in these pieces and decide on where the story should go, and how it should progress. The biggest challenge is that although we’re developing these projects with ground-breaking technology, not everything is ready for mass consumption, however, that time is coming very soon.